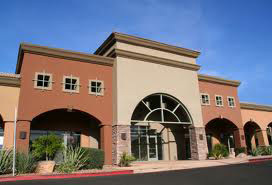 EIFS-Dryvit-Sto-BASF-Senergy, Stucco, Plaster, Interior-Exterior, Commercial & Residential, New Construction and Repairs. 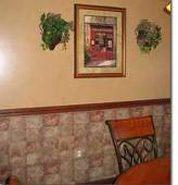 Indiana Wall Systems always takes the least invasive, most practical, cost effective approach, to E.I.F.S. 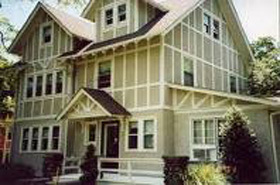 (Exterior insulation finishing system) repair. We take steps to indentify any problem areas, draft a solid plan that will include a no hassle, no hidden fee, absolute resolution approach to your repair. 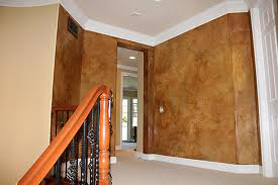 We also walk our customers through the process step by step, leaving no surprises, and delivering a wall that is eye catching for years to come. 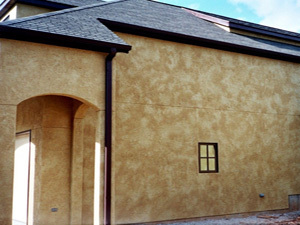 Indiana Wall Systems is a fully certified EIFS contractor. Our work is shrouded in pride, and filled with integrety! Standing behind our work Well Beyond Our Competition, producing some of the most beautiful Exteriors in the country. 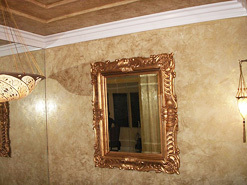 Our portfolio speaks volumes, as does our reputation of fair, honest, world class quality service and artistic craftsmanship. 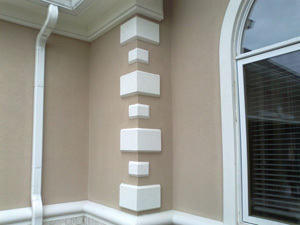 Anyone who knows EIFS, knows the broad range of quality produced by varying contractors. Some contractors, even still yet today in 2012, just cannot get these applications down correctly. 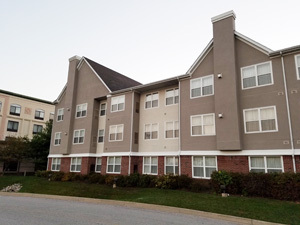 Or they are driven in a such a production frenzy, they leave substantial problems for any later owner of the projects they have "completed" We urge anyone considering EIFS/repairs to get out and view the previous work by any EIFS contractor they are considering. These products are no joke, and to many people have been blindsided by astronomical repair cost, to hire a man at his word. 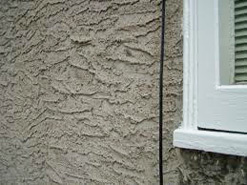 Beware of out of state EIFS contractors! Never accept one opinion or price! Always have a third party inspection! 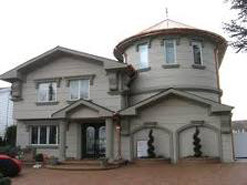 Get educated if you have EIFS, Protect yourself and your home. New Construction Residential featuring in-house design concepts, extreme quality control, artistic based application process, and professional execution of our work. 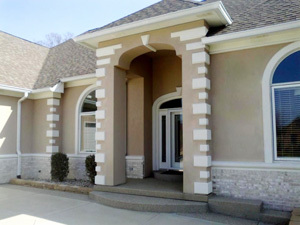 With an open minded approach, and a willingness to assist and satisfy our customers with our "not in stone" policy.Our application methods are unique to Indiana Wall Systems, systematically adapted over the years to increase strength,durability and wall life, as well as prevent natural damage from occurring, such as Hail and Moiture damage. New and existing Chimney work from plain EIFS chimney work, to extensive detail comprised of multi textured, multi colored, multiple detail stepped concepts. 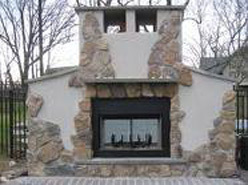 Interior fireplace concepts, thin-coat, Venetian, Italian and Greek Plastered fireplace designs. Safe, beautiful, eye catching and unique designs, adding to the beauty of any home interior. 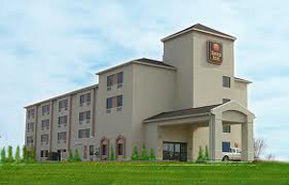 Large scale unitized commercial, Industrial projects. 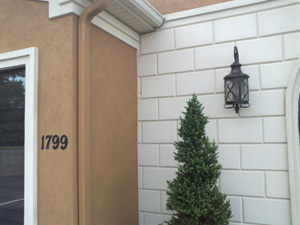 From sign wall repair to complete building re-face projects. 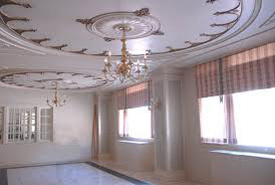 Traditional interior high quality molding plasters, and thin-coat plasters. 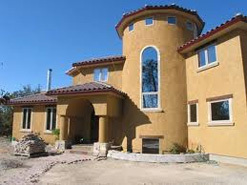 Traditional Stucco New Construction and repair/upgrade Paying close attention to the problem areas not yet known in the specifications of yesteryear. 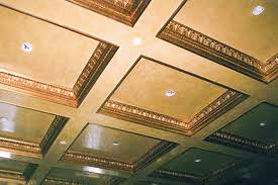 Such as wood to stucco transition issues, proper expansion placement for the climate in which the stucco is being applied, as well as the introduction of synthetic components, making the stucco of today much more durable and less prone to staining, cracks and delamination. 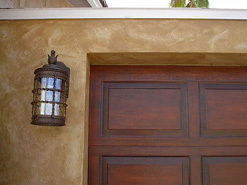 These newly formulated upgrades to traditional stuccos leave home owners with a very attractive exterior that last for many years, without painting. In-house design/World Class concepts&Capabilities/Global possibilities/professionalism. 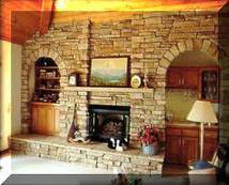 Cultured Stone interior/exterior designs also available. 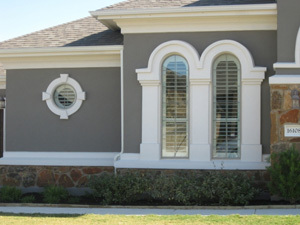 Many of the newer, more modern designs that really catch the eye, are cultured stone interior design concepts, as well as cultured stone and eifs combination designs. Some of these custom designs today, really bring forth a unique, outstanding, artistic look, while catching attention and offering real world class curbside appeal to the market like never before. 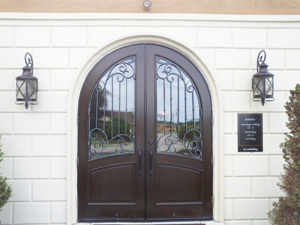 These two materials, when applied correctly, really offer benefits that are easy to see from a year down the road, to decades from initial construction, by offering a super strong lower wall (stone) and a beautiful, light weight, exponentially insulative upper, all while remaining tangable enough to capture any look, from old world German and English construction, to modern California style concepts. 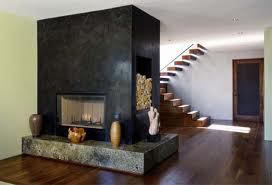 Cultured stone/Plaster interiors are also beyond reaproach, in terms of design tangability, from rustic to castlistic, ancient to modern, modest to fancy. The sheer technology applied to these newer products and the generated increase in performance and workability, as well as application range, are far exceeding the materials of yesteryear. With major extentions in wall life, impact resistance, mold and stain repelling, other contaminants repelling abilities, increased incidental moisture resistance to name a few. 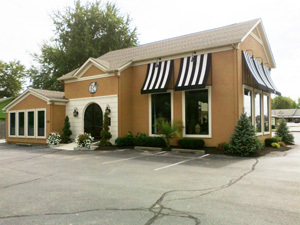 Indiana Wall Systems is an Authorized Centurion Stone dealer. Centurion far exceeds any other manufacturer in terms of design and product quality, with a proven Strength of 7,849 psi, which is thousands of pounds stronger, per square inch, then any other stone! Our dealer status offers up significant savings to our customers through direct sales, on every cultured stone project we estimate. Our warranty combined with Centurion Stone's 50 year warranty! offers real piece of mind in the decades following any work we perform. D Ray Decor, Greenwood In, close-ups - showing perfect finish aggregate behavior, straight lines, accents, and professional terminations. 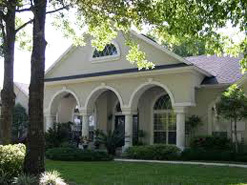 Award winning exteriors, world class references, professional service, and a reputation far above & well beyond the rest. 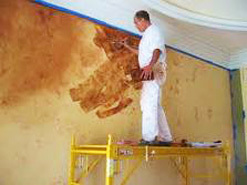 We not only offer,rather simply INCLUDE our unmatched 10 YEAR WARRANTY with any work we perform. 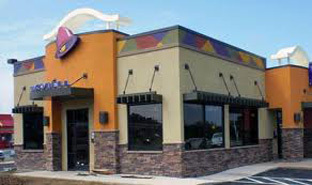 Exterior insulation and finish system (EIFS) is a general class of non-load bearing building cladding systems that provides exterior walls with an insulated, water-resistant, finished surface in an integrated composite material system. In Europe, systems similar to EIFS are known as External Wall Insulation System (EWIS) and External Thermal Insulation Cladding System (ETICS). 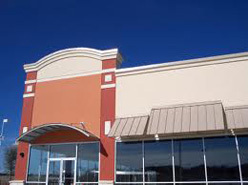 EIFS has been in use since the 1960s in North America, first on masonry buildings, but since the 1990s the majority on wood framed buildings. There is a history of water infiltration problems causing damage to buildings resulting in costly legal cases, so the recommended systems include a drainage plane to let water drain down and out from behind the cladding.